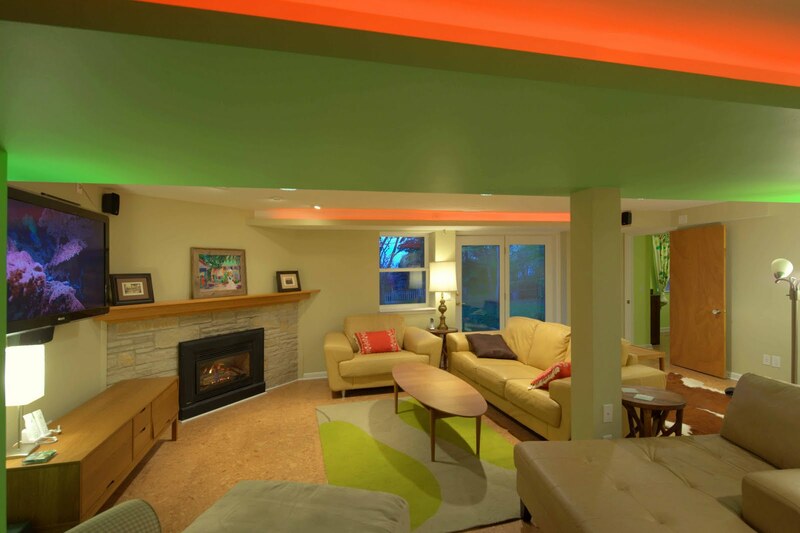 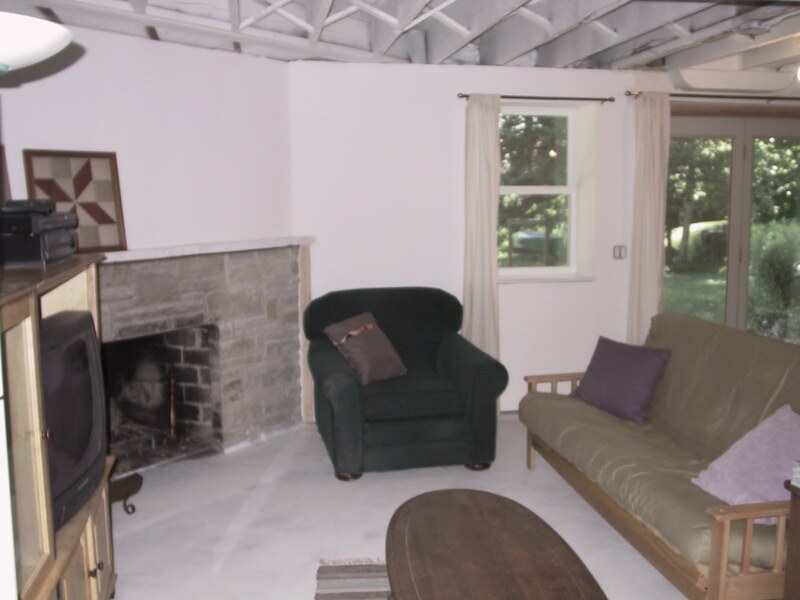 This 1950’s ranch had a huge basement footprint that was unused as living space. 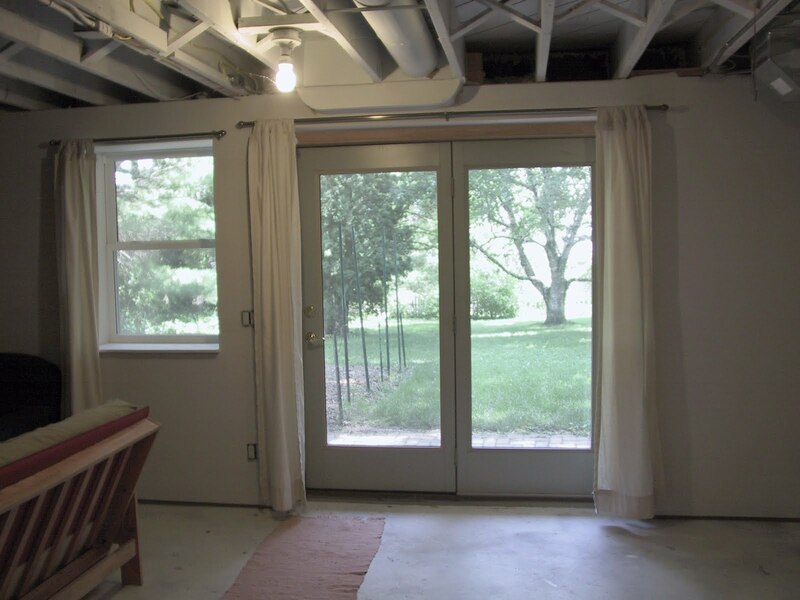 With the walkout double door and plenty of southern exposure light, it made a perfect guest bedroom, living room, full bathroom, utility and laundry room, and plenty of closet storage, and effectively doubled the square footage of the home. 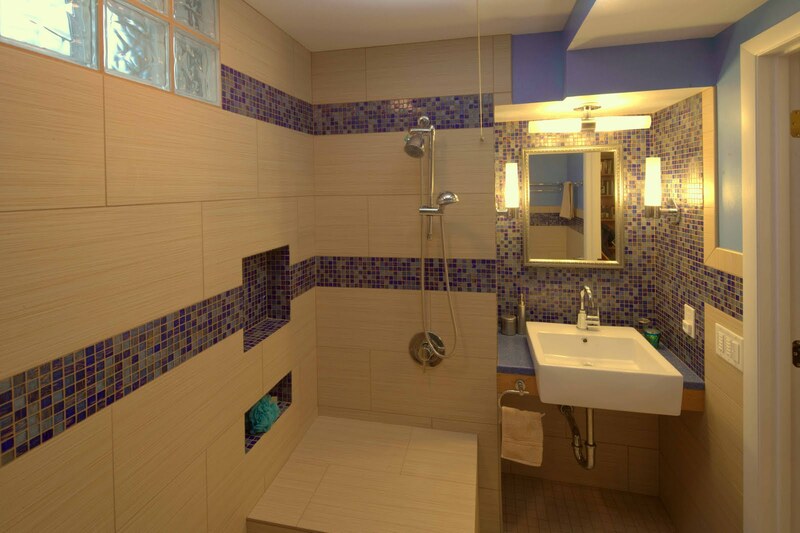 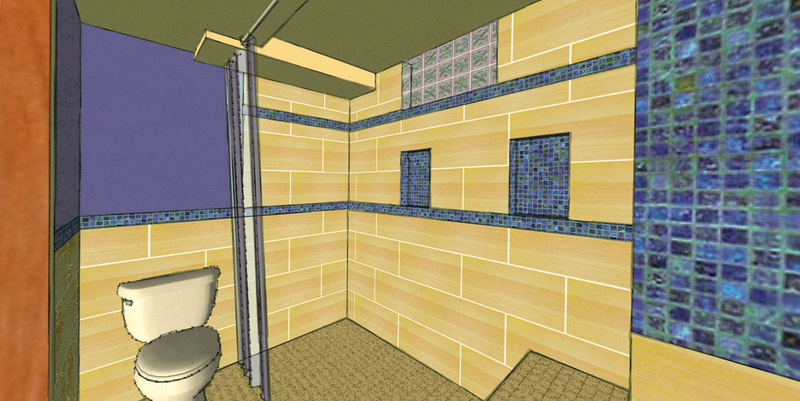 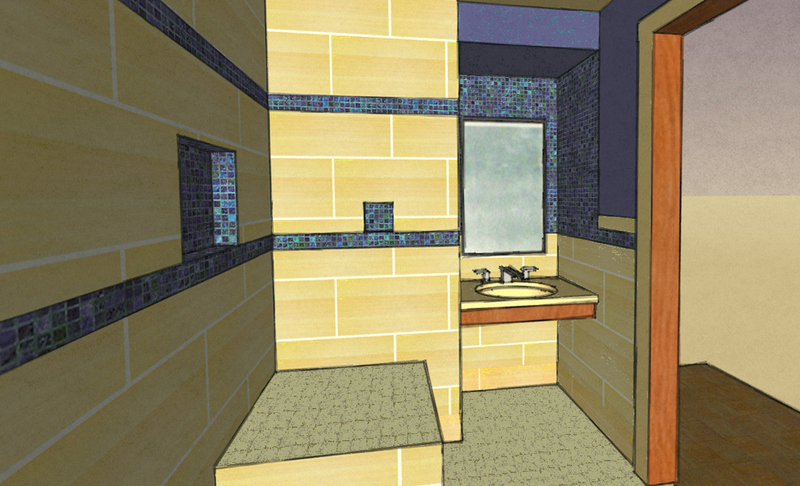 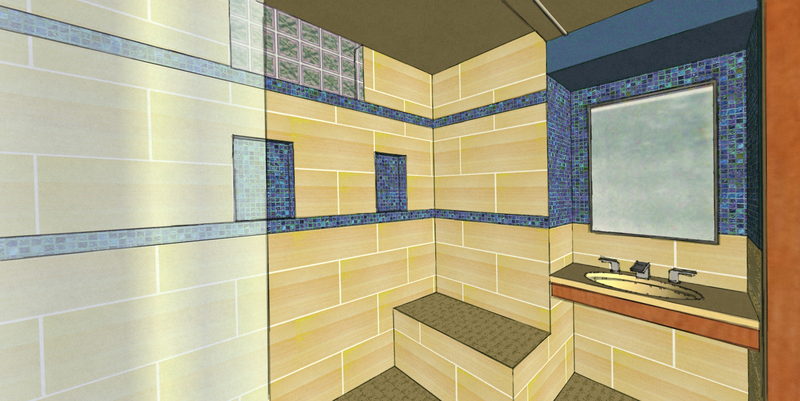 The bathroom is designed with a curbless shower, allowing for wheelchair accessibility, and incorporates mosaic glass and modern tile. 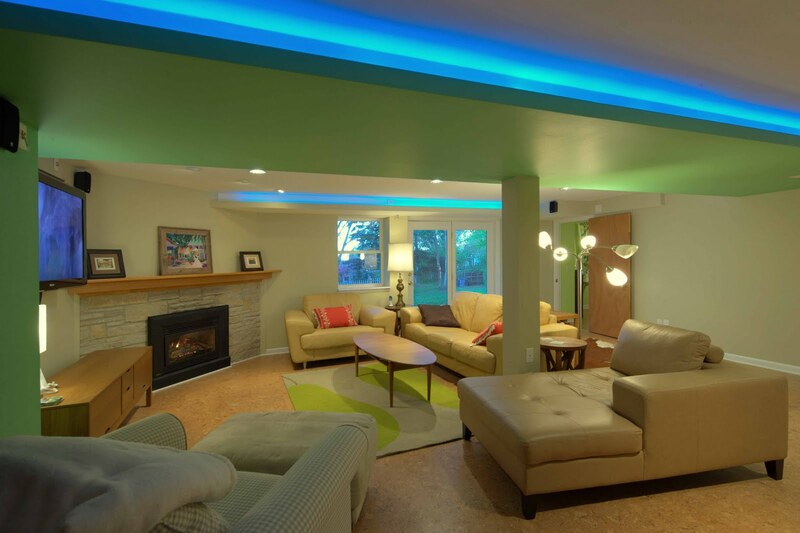 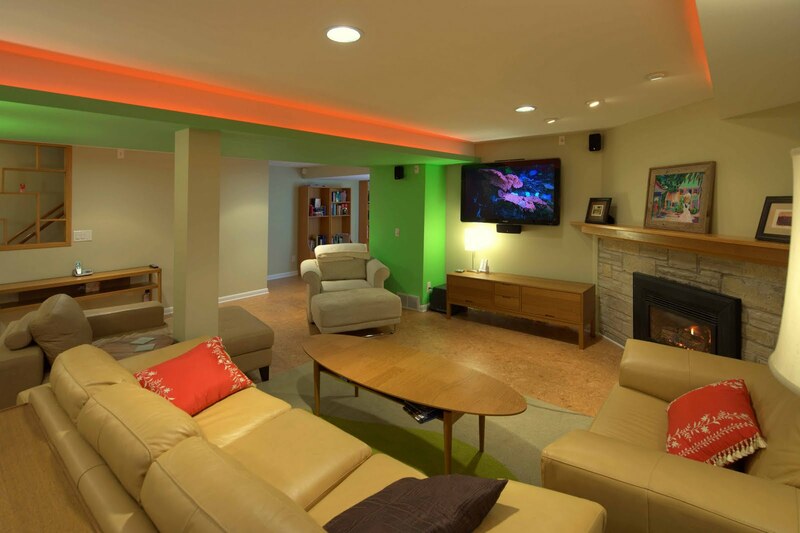 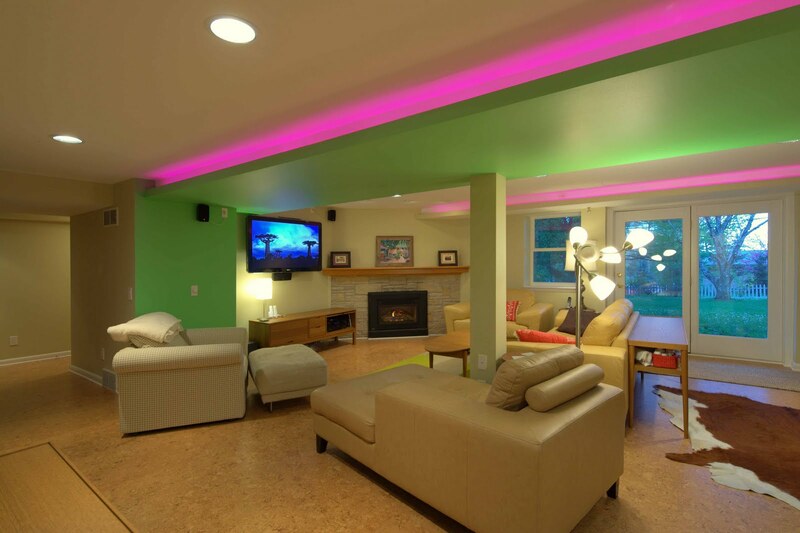 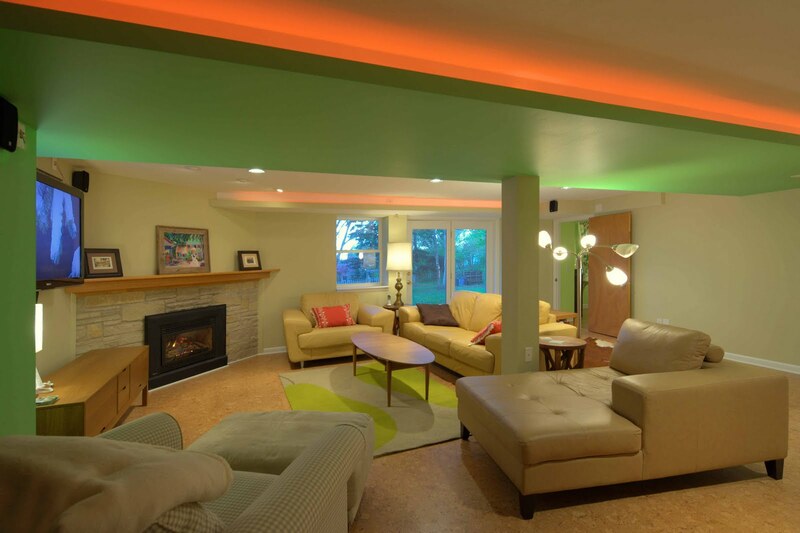 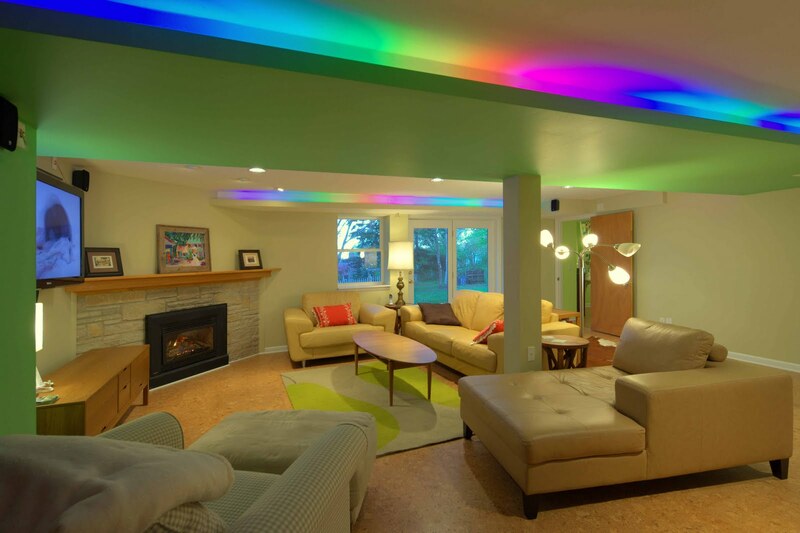 The living room incorporates a computer controlled low-energy LED accent lighting system hidden in recessed light coves in the utility chases.